It is always nice to be able to get around with our own cars. But you don’t always have that opportunity. Having the ability to call a taxi fast when you are stuck on the road or in a foreign city is nice. 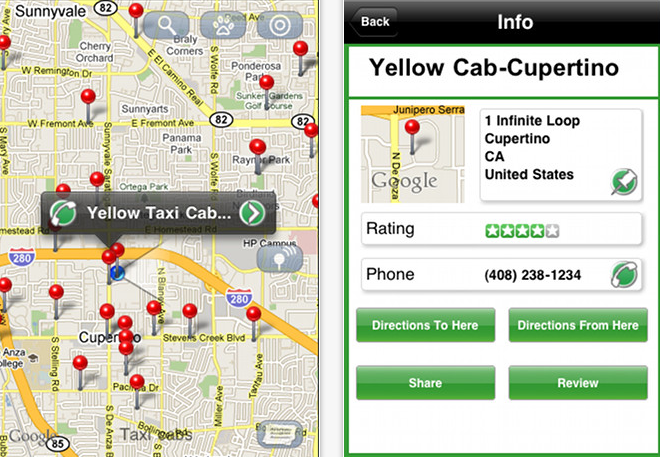 Call a Taxi is a handy application that turns your iPhone into a taxi directory for your location. It shows you where you can find the cheapest and closest taxi businesses. Call a Taxi is developed to make your life easier when you are stuck. You won’t have to spend a whole lot of time finding what you are looking for. 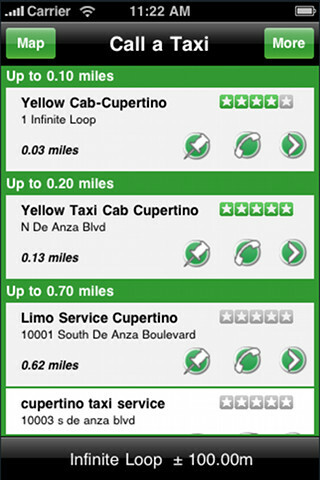 The app shows you where taxi companies are located all around you. It also includes rating information on them. Of course, it would be nice if the app grabbed Facebook, Twitter, and local directions for each company. The map feature in this app is helpful especially if you have no idea where you are. You can share locations via email or SMS too. Once you have used a company, you should review it to help others out. Call a Taxi is not perfect by any means but is based on a solid concept. The app has a potential.